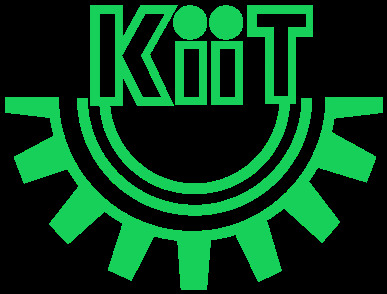 Visit the KIITEE official website. Enter your Name, Date of Birth, Qualification, etc. Click on the payment link and pay the Application Fee. The KIITEE application form can be filled online. The KIITEE application form must be signed by the candidate and the parents or guardians of the candidate. Candidates must be careful not to send any original documents along with the KIITEE 2019 application form. Full Name - Candidates must enter their full name as it appears in the class 10 marks card. Gender- Gender of the candidate. Father’s Name - Applicants must enter their Father’s full name as mentioned in the class X marks card. Mother’s Name - Candidates should provide their Mother’s name clearly with space provided by the first name, middle name and last name. Date of Birth - Applicants must provide the date of birth in the format of DD-YY-MM (DD- Date, MM- Month- YY-Year). Nationality - Aspirants need to select the nationality from the list. Reservation Category - the selection of the category to which the applicants belong is to be filled by them. Photographs - Applicants need to affix their passport size photographs of dimension (4cmX5cm), which is taken after December 1, 2016. The name of the candidate must appear in the photographs. Centre Options - Applicants must choose 2 centers from the options available. Qualification -Whether the candidate has completed 10+2 or Diploma. Qualifying Exam status- It is the information whether the candidate has passed the exam or appearing for the same. Year of Passing- Candidates should mention their year of passing. Marks details- Candidates should mention details about their marks and also about their 10th class details. This requires the complete postal address of the candidate like the Door No., Address, City, District, Pincode, State and their phone number. The Application Form should be filled in English only. Use only black ballpoint pen and CAPITAL letters to enter the required information. Use a pencil to shade the circle to correspond with the code/ appropriate alphabet/ numeral. Paste a recent passport size colored photograph of good quality and sign in the space provided. Do not staple, pin, wrinkle, tear, or wet the coded sheet provided. The tapered Application is liable to be rejected. Exam Fee: There is no fee for KIITEE 2019 Examination. Candidates should ensure that all the details are filled and nothing is left out. The KIITEE 2019 Quota Seats are distributed among different categories of candidates as follows. Separate Merit list will be prepared for each Category for KIITEE 2019. What are the specifications regarding photograph to be uploaded in the KIITEE application form? The candidates need to affix their passport size photographs of dimension (4cmX5cm), which was taken after December 1, 2016. The name of the candidate must appear on the photographs. Should I send the KIITEE application form to the Board? Should I send my original documents along with the printed KIITEE 2017 application form? No, the candidates need not send their original documents along with the KIITEE 2017 application form. How do I fill the form to KIITEE? Dispatch the Application Form for KIITEE 2017 along with two passport size colour photographs pasted in appropriate place and 10th Pass Certificate/Mark sheet. The online application form for KIITEE 2017 will be accepted subject to receipt of printed application, photographs, a copy of 10th Pass Certificate/Mark sheet only. May I know how much is the Application fee for KIITEE 2017 aspirants? There is no Application/Examination Fees for KIITEE - 2017 aspirants. What documents are required for the application process of KIITEE 2017 examination? Keep your marks card and copy of photographs beforehand for the application process of KIITEE 2017 examination. To whom should the printed application be sent? The print out of online Application form or filled in downloaded application form should be submitted in person/ to the following address on or before 31/3/2017. How does a candidate get their application number? The candidate would have to go to the official website. There will be a section Find Application Number in the first column. The candidate must fill in his/her name, gender and date of birth. Then he/she must click proceed.